Minimalist but statement making. 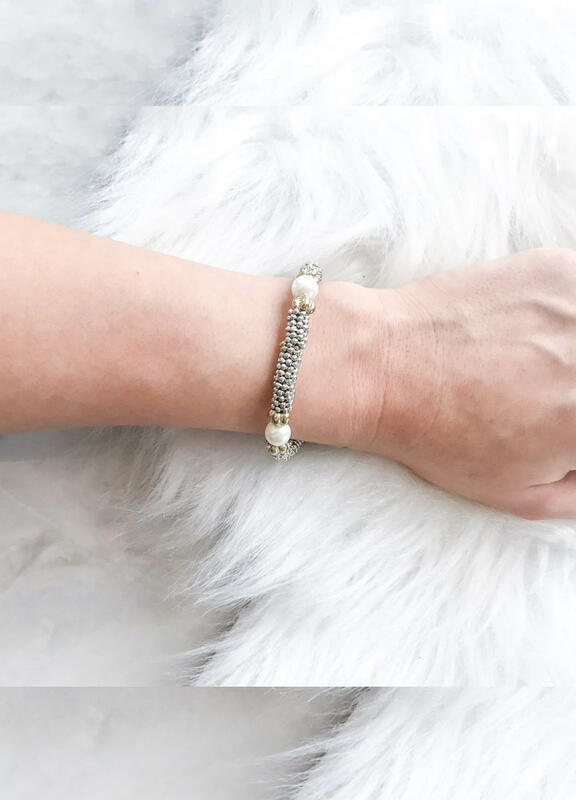 The Diane bracelet is a beautiful silver bracelet with a tiny gold detail on the outsides of the pearl that decorates this piece of jewelry. If you like this, check out the Diane Ring.